Martial arts are perhaps more popular today than it has been in any time in history, and the reasons why are quite clear. 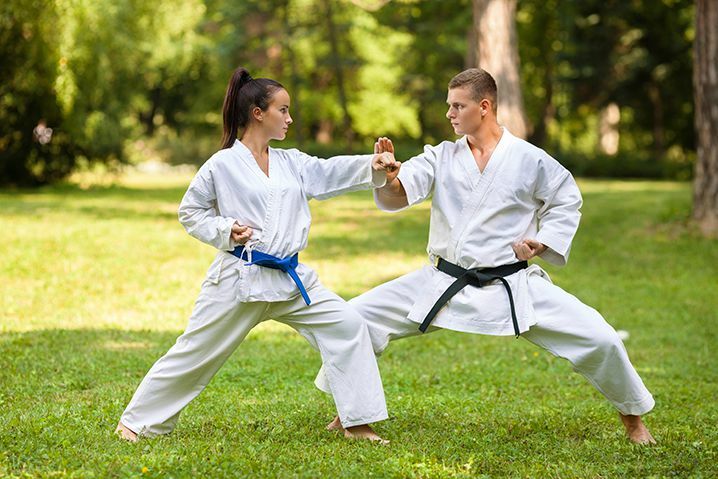 Not only do the martial arts provide one with practical self-defense skills, but they also provide an excellent workout. In the Personal Training Certification Institute’s Martial Arts Training Certification Course, you will learn the science behind martial arts. Topics such as anatomy and physiology as well as the muscular system, nervous system and skeletal system are all covered in depth. We cover biomechanics with precision so you can pass this knowledge on to your clients. In our coursework, we explore the different types of movement including lingerer and angular kinetics, how to correct common martial arts training mistakes and how to incorporate martial arts into a larger fitness program. Martial arts offer exceptional workouts. You’ll also learn how various techniques and exercises can be used to impact different muscle groups and improve conditioning, flexibility, reflexes and more. We want you to have the very best program at your fingertips. That is why all of our programs have been carefully designed and written by experienced certified fitness professionals. Our organization is fully dedicated to leading the industry in personal training certification, and that means providing materials that are second to none. Our coursework is designed around your busy lifestyle. As a result, all materials are completely, 100% online. Not only is our course 100% online based, but we also provide you with 24/7 instant test grading, unlimited practice tests and other industry leading perks such as 24/7 instant certification and free email certification sent immediately after you pass the exam. Additionally, you receive 8 hours of continuing education credits.